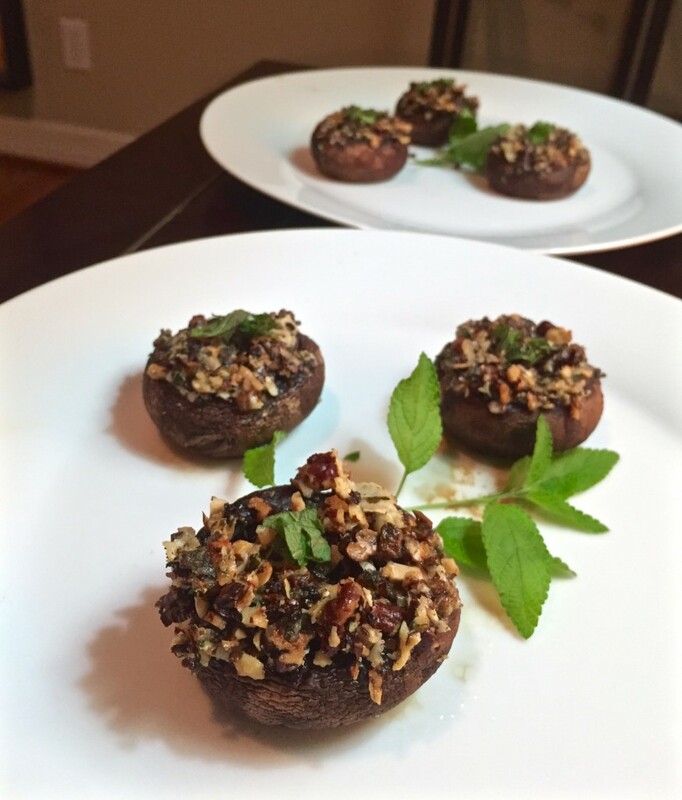 Pecan makes these stuffed mushrooms a crunchy treat. Pecan stuffed mushrooms are a favorite for parties and, yes, football games. Both the nut and the word, “pecan,” are Native American. 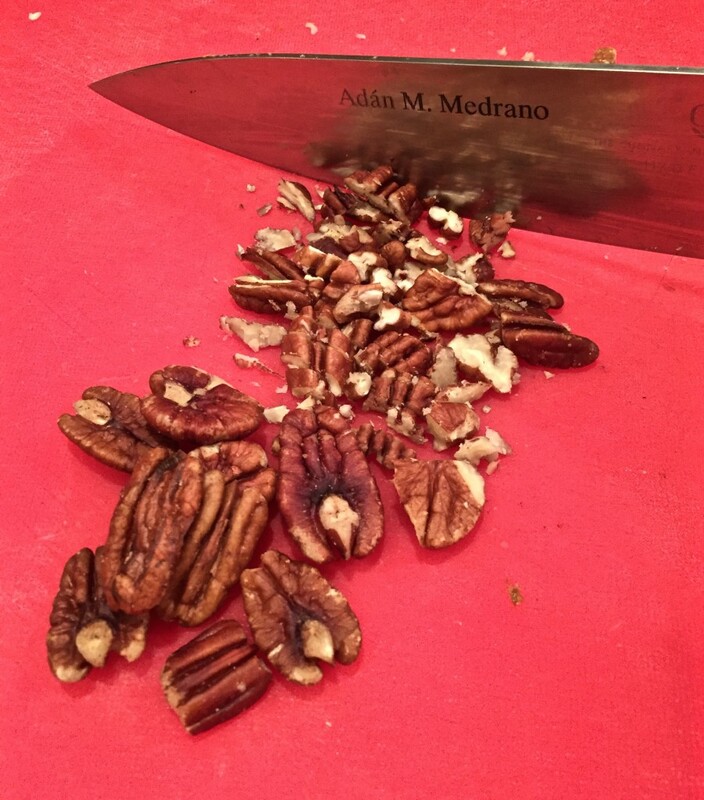 European immigrants were not familiar with the pecans, which reminded them of walnuts. In fact, In today’s Spanish-speaking community of Texas we use the word, nuez, (walnut, nut), which is what the Spaniards here in Texas called the pecan. Historians refer to the Algonquin word, paccane or pacanes as it was used to refer to the nut-bearing trees growing in the upper North American region. Historical records indicate that the French started using that word in the 1700’s to refer to the nut-bearing trees along the Mississippi River region. By the late 18th century, “pacane” was used specifically for the pecan that is native to South Texas and Northeastern Mexico. All of this rich history makes me want to stuff some mushrooms with pecans. Here’s the recipe. 1. Wipe clean the musrooms and remove the stems. 3. Heat the olive oil in a 10-12 inch skillet over medium heat. 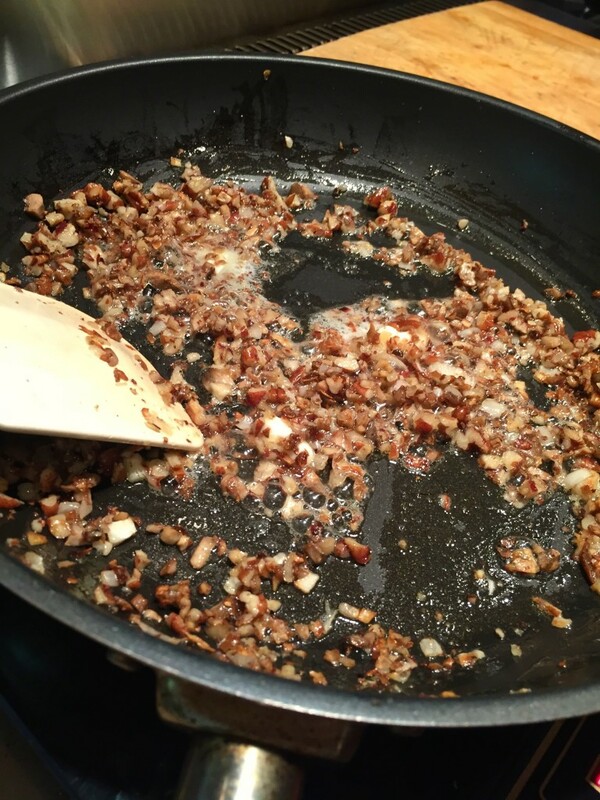 Add the mushroom stems and pecans and sauté for 3 minutes. 4. Add the brandy (be careful because it may ignite) and cook until the brandy has evaporated, about 3 minutes. 5. Turn off the heat, add the butter and after it has melted, add the parmesan cheese, parsley, salt, and combine thoroughly. 6. 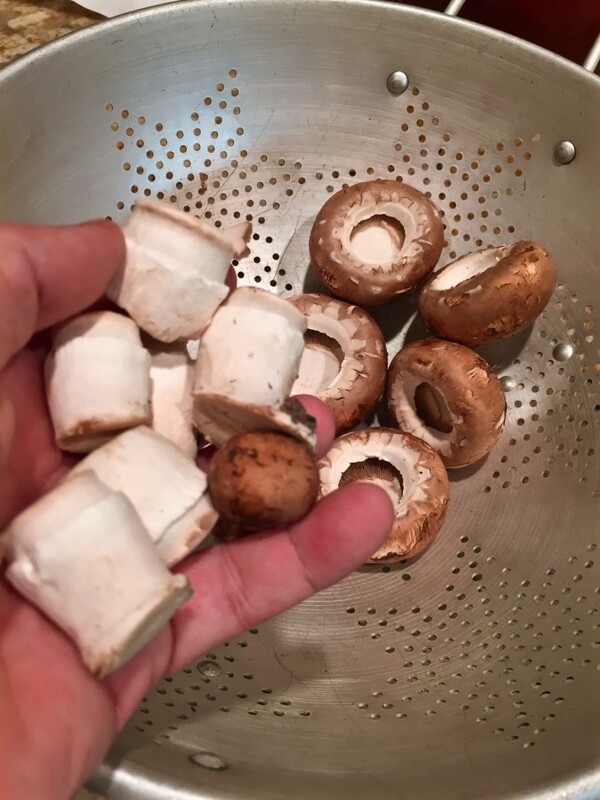 Fill each of the mushroom caps with the mixture and bake in a 350º oven for 15 minutes or until the mushrooms are completely cooked and have started releasing their juice. Hi, John. thanks for the question and am glad we share an interest in food writing. I’m afraid I can’t offer you advice on how to write, but as for me, I can only say that it’s work, and I’m passionate about going beyond “precious food writing” and delving into those links with culture, history and social movements. I do agree wholeheartedly with flavor being of prime importance. Good luck. I love Mexican food as well. In fact I love to eat well prepared tasty food from any culture. At this point I am enjoying reading “Culinary Intelligence” by Peter Kaminsky. Would you be able to offer me some advice on food writing and blogging?